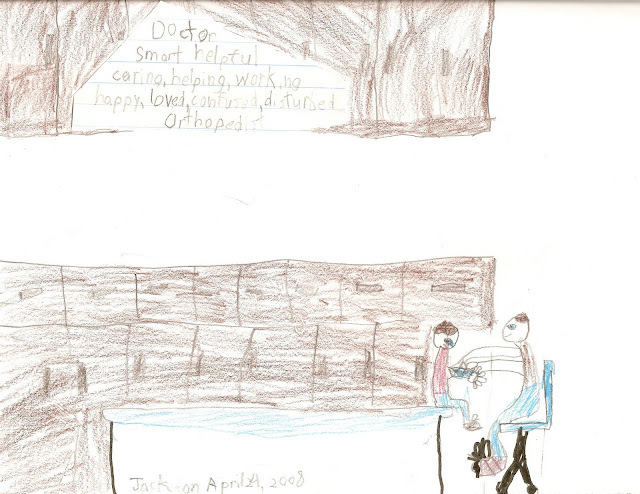 Little Man drew this after he broke his arm and was going to the Orthopedic Surgeon every week. When Little Man grows up he wants to be a Doctor. What are qualities in a good doctor? Smart, helpful, caring, helping, working, happy, loved, confused, disturbed, orthopedist.